Vickers Super VC-10/VC10 East African LAST ONE! NOW BEING CLEARED!! SAVE 1/3RD!!! 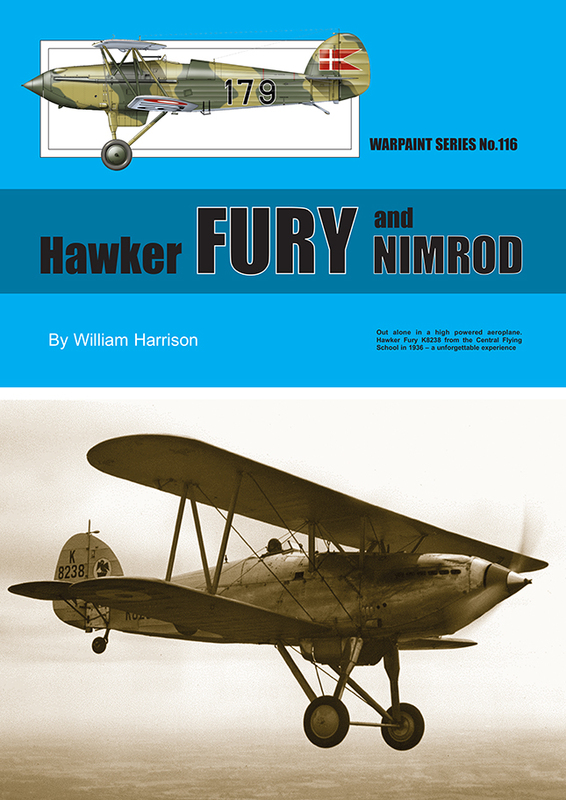 Hawker Fury and Nimrod Author: William Harrison The first RAF front line fighter to achieve more than 200 mph was the Hawker Fury, and its naval counterpart the Hawker Nimrod. These two attractive fighters came from the design office of the late Sydney Camm, Hawker's chief designer. The Fury started life as a private venture known as the Hornet but when this machine exceeded expectations the name was changed to Fury. Although only ordered in small numbers owing to financial constraints during the Great Depression production eventually exceeded 260 machines with orders from the RAF, Royal Navy, Persia (now Iran), Portugal, Spain, Yugoslavia and more than 30 supplied (ex-RAF) to the South African Air Force. The Fury entered service with No.43 Squadron who accepted 16 during May 1930 and stayed in front line service until January 1939 when it was replaced by the Gloster Gladiator, although quite a few remained in the training role until mid-1941. The Furies were used in combat during WWII by Yugoslavia where they were quickly despatched by the more modern fighters of the Luftwaffe. South Africa used Furies in the East African war until 1941 and the three supplied to Spain were in action, one of them serving on both sides! The Nimrod, while bearing a distinct resemblance to the Fury, flew early in 1930. Changes for the RN included longer exhaust pipes extending down both sides of the fuselage as far as the pilot's cockpit; an oil cooler fitted beneath the engine bay and at a later date arrester gear was fitted for carrier use. Later series Nimrods featured a larger tail surface to improve inverted spinning characteristics when fitted with floats. Deliveries of Nimrods started in September 1933 and they remained in use until May 1939. Only a small number of Nimrods found their way abroad, two went to Denmark to act as pattern aircraft for licensed production, one was shipped to Japan and one to Portugal. Although one Fury managed to survive in the scrapyard of a London dealer it fell to John Isaacs, a draughtsman from Vickers Armstrong, to design and build both a 1/7th scale Fury and Spitfire, both of which continue to be built by members of the Light Aircraft Association, née the Popular Flying Association. This book is written by William Harrison and is superbly illustrated by Richard J.Caruana.